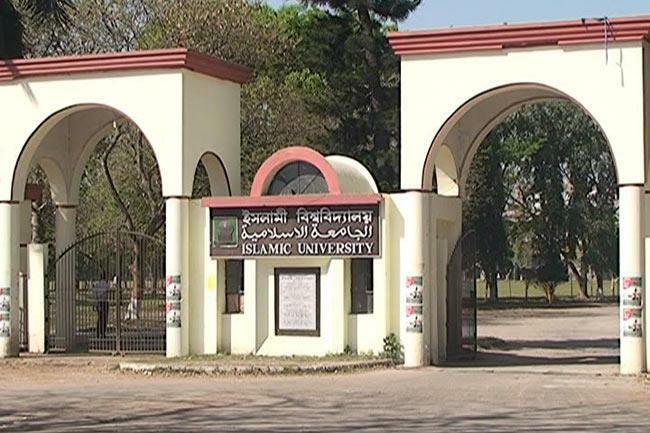 Islamic University, Nov 30 (UNB) - The admission tests for the first year honour courses under 2017-18 academic session of Islamic University (IU) in Kushtia will start from Friday and will continue till Tuesday. The admission tests will be held under four shifts in a day. The first shift will be held from 9:00 am to 10:00 am while the second shift from 11:0 am to 12:0 pm, third shift from 1:3 pm to 2:3 pm and fourth shift from 3:3 pm 4:3 pm, said sources at IU registrar office on Thursday. According to the source, E and F units admission tests under Applied Science and Technology Faculty will be held on Friday while D unit under the same faculty will be held on Saturday, G and H units under Business Administration and Law and Shariah Faculties will be held on Sunday, A and B units under Theology and Humanities and Social Sciences Faculties will be held on Monday and C unit under Humanities and Social Science Faculty on Tuesday. IU acting registrar SM Abdul Latif informed that a total of 87,388 applicants will contest against 2,275 seats in this year. More information regarding the admission tests is available on the university website www.iu.ac.bd.